Making black gold in the backyard is almost as easy as making a salad in the kitchen! Mother Earth has been making organic compost from day one. 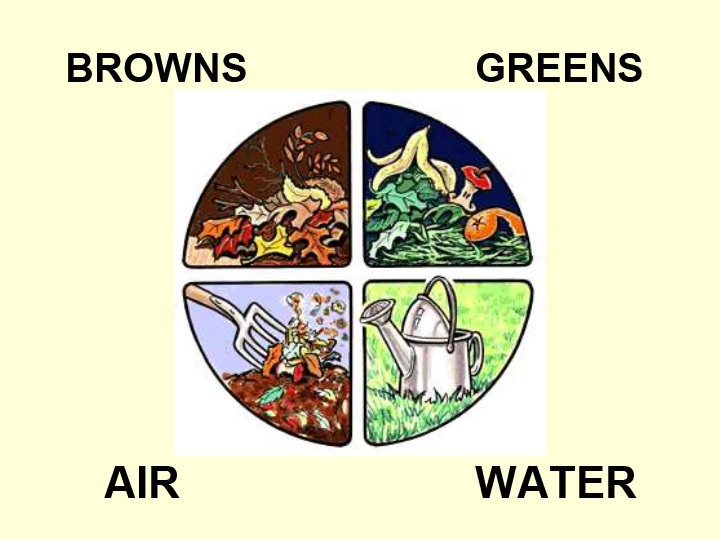 She knowns what is best for the soil so why not try to make it too by using waste products around the home? You can make it faster than she does using improved techniques. Incorporating organic compost into lawns, gardens, and various beds is one of the best things you can do to improve the soil. 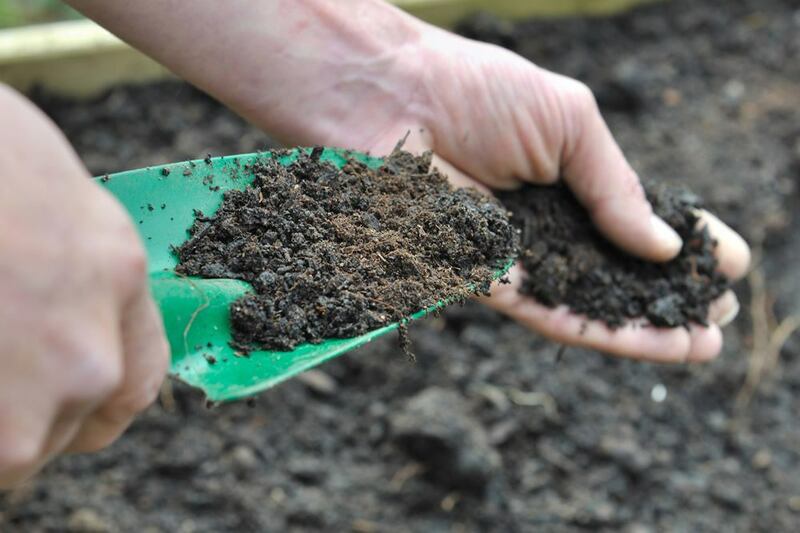 When incorporated into the soil compost not only improves the structure it supplies essential nutrients, supports soil life, and adds necessary and highly beneficial micro-organisms to enhance plant growth. (It will serve as a mild fertilizer as well.) In sandy soil it helps retain moisture, and in clay soils it helps break up the tightly bound particles. It creates air spaces, and helps suppress plant diseases, obviously a win-win situation! 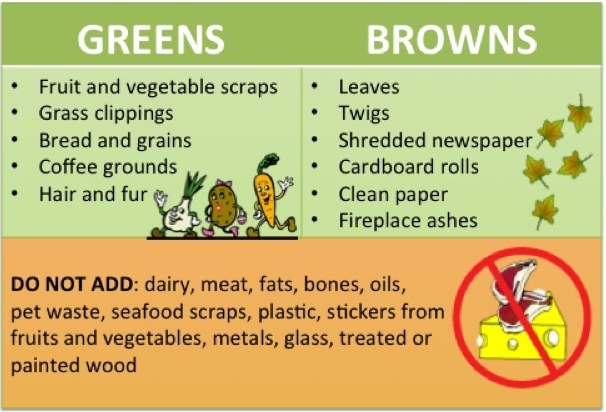 You can use waste materials from the kitchen (vegetable or fruit peels, rinds, left over table scraps, even the paper napkins, paper towels, tea leaves, coffee grounds, egg shells) and yard wastes from yours, your neighbors or collected from friends. 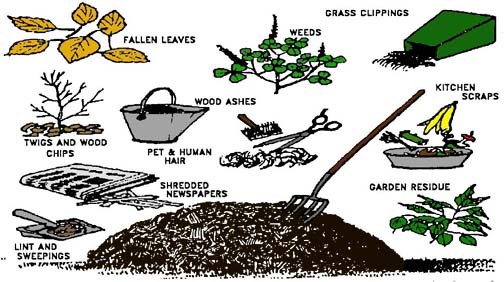 Other things to recycle include grass clippings, dry shredded leaves, wood chips, trimmings from trees and shrubs, manure (horse, cow, rabbit, chicken, (not dog or cat), straw, weeds without seed heads, old plants, shredded paper, feathers, hair (human pet or livestock), sawdust, even fabrics (cotton, wool, silk), and some soil sprinkled throughout (which is where the beneficial micro-organisms are hiding). Your improvements to what Mother Nature can do is mixing the waste materials, watering it when needed, using mixed sized pieces, adding soil and manure (if available). Smaller particles degrade faster but can stick together, adding larger pieces helps. Thick woody particles take longer to break down so the smaller they are the faster the process will be. Not too much of one thing helps too. 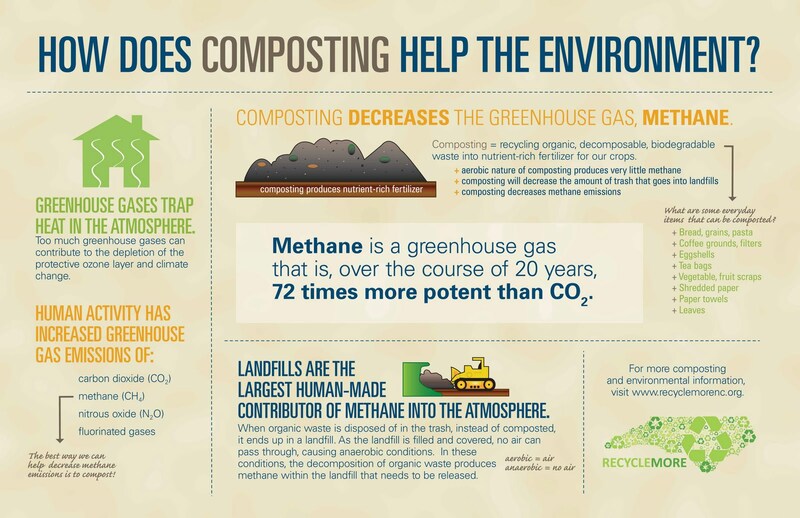 The purpose of good composting is to get those beneficial (& invisible) micro-organisms busy eating and reproducing (which is why compost heats up). Being a part of our biological system means they cannot survive without food, oxygen and moisture, just as we need food, oxygen and water to survive. Occasionally turning the pile and keeping it slightly moist helps. If you fail to do this the air will be forced out, it can get dry, or stick together if too moist, and slows the microbial action. It should feel as moist as a wrung out sponge. Turning, or mixing the particles exposes the microbes to other surfaces, who wants to eat just left over broccoli day in and day out? Compost will happen. You can make really good quality or not so good depending on how dedicated you are to the process. If you have a pile about 4×4 it will heat up & break down into dark, rich compost faster. 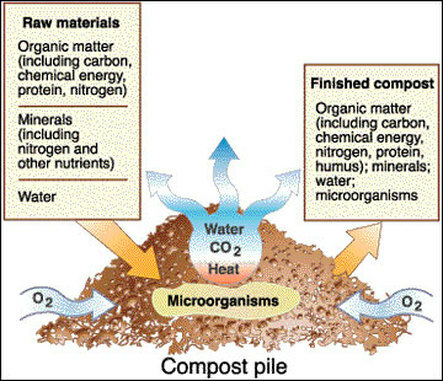 It is hard to get small amounts of waste materials to heat to a high enough temperature to make good compost. (You can check the temperature by feeling the center or putting a regular outdoor thermometer in the middle, it should feel warm for several weeks.) It is possible to compost in as small a container as a black garbage bag, or rusted out trash can. Many of you may be familiar with the compost heap in the back yard where everything is just tossed on top and you have to shovel the good stuff from the bottom. The neighbor’s dogs and all local wildlife can, and will, get into it. Using a container to compost in makes more sense (& you get more compost). Turning it, keeping it moist, or in a bin, cage, or wooden frame of recycled old pallets you will produce higher quality organic compost in half the time Mother Nature does. You may find out you are a master composter when it completes the cycle in 6 weeks or less! When the compost is finished it will be crumbly, dark, & smell wonderful, no longer able to recognize that leftover broccoli! The compost technique (made in a heavy duty black plastic mentioned previously) is an entirely different method of composting. Known as an anaerobic (little or no oxygen) process. Once assembled seal the bag, turn it now and then for approximately 3 months. Putting a combination of green and brown materials (translated that means moist and dry materials), some soil, and about 2 quarts of water in it, no sticks of course. Mix it up, & place it in the sun. Turning is important to mix the ingredients and to avoid the sun degrading one side of the plastic. When you can no longer feel the course materials it has completed the process providing just the right amount of compost needed for containers &or enough to make compost tea for watering plants.